Sky realm [Floating Island Survival Map] OVER 20,000 DOWNLOADS! Poll: What is your favorite island in Sky Realm? Sweet, thanks so much. I really aprecieate it that you Sent me the map so I didn't have to look for it And that you poseurs it as a comment and not pm. I've thought about that, but I'm worried that it might ruin some of the difficulity of the island. 1) You could just copy the desert island and plunk a desert village on it in a whole new island. 2) Split the Village/Plains island down the middle and make it a regular village/desert village. I don't really have any experience in making maps of this aptitude, so don't take any offense in my naivety! sweet, what's your server ip address? I would love to check it out sometime. No no, I really aprecieate your suggestions. I think a half island could look cool. I'm going to be working on smaller islands floating around the main ones so I could split up the biomes on those islands. I think I will make a desert ullage though. I could work it out to make some custom trades with them too. I think it would be good to give the map more of a adventure feel. With more chalanges you would hsve a better sence of where to go and wouldn't get bored. I've been thinking a lot about using villagers with custom trades. That way you would have to collect a certain number of something to give to the villager so he would give you a book telling you what to do next. I think this would be a really cool way of having chalanges and you wouldn't be able to cheat unless you spawned the items. Like you would have to collect a mossy stone brick from the top of a mountain to get book that gives you the coords of a hidden chest with diamonds or something. Any suggestions? It also might be cool to have a chalange version where you a have a villager you have to collect things for to get the next challenge. The chalanges would send you around the map to different villagers on each island where you would have to complete quests to retrieve items to unlock the next quest. Of cource I would have to give the guy some serious potions so he couodn't be killed or be able to move. And where should I put this guy? On top of the church maybe? 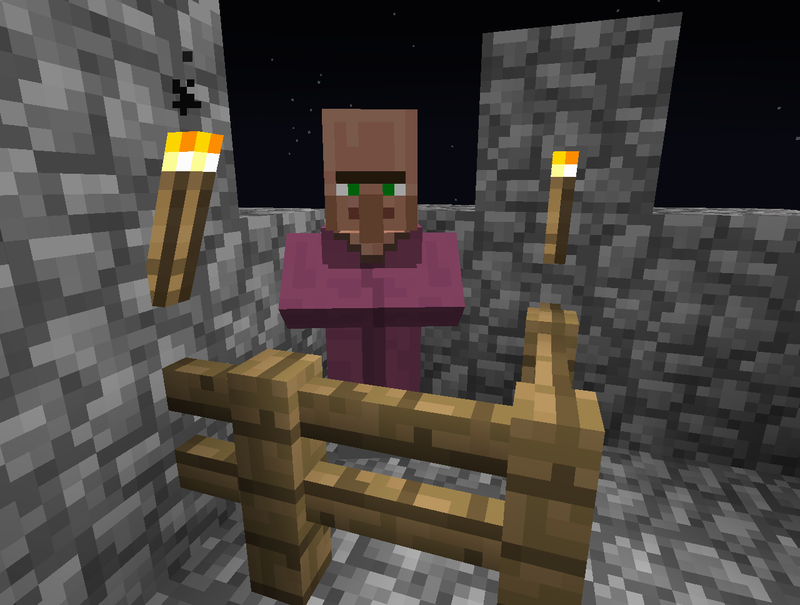 I might also want to make a separate building for the the villager. I need to name for the guy, quest master? Realm keeper? I thought the command block had already done out. But there's no real reson to have a command block in the map anyways. So what would be your ideas on this? I was just thinking of having the guy on top of the church. But it sounds like you were thinking more of a room. Great ideas, thank you so much. I'll try to work out is something with that. This is going to be a pretty big feature of the map, I'm going to need a big structure for this, any ideas? I could even have something hanging off the underside of the island. I think that would lOok pretty cool.